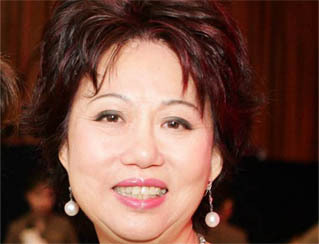 Jannie Chan Siew Lee (BSc 1968, MSc 1971) is executive vice-chairman of watch retailer The Hour Glass Ltd. Since co-founding the business in 1979, she has guided its growth from a single retail operation to a network of 23 luxury boutiques in Australia, Hong Kong, Japan, Malaysia, Singapore, Thailand and Indonesia. Among her many achievements Dato' Dr Chan Siew Lee is the first female president of both the Singapore Retailers Association and the ASEAN Business Forum. She is also the first and only female executive board member of the Commonwealth Business Council and and the first chairman for the Commonwealth Business Women Leaders' Network. Dato' Dr Chan Siew Lee also holds a number of international positions. Since 2000 she has been a member of the first Business Advisory Council of the United Nations Office for Project Services and since 2004 a member of the Business Advisory Council of the United Nations Economic and Social Commission for Asia and the Pacific. With a family background in pharmacology and business Dato' Dr Chan Siew Lee established Save Our Planet Investments, a holding company with businesses in lifestyle, forestry and bio-medical industries. She also founded Save Our Planet Foundation, a not-for-profit organisation working towards sustainable reforestation to combat global warming. Dato' Dr Chan Siew Lee has received several awards including an honorary doctorate from Oxford Brookes University in the UK (1999) and the Darjah Sultan Ahmad Shah Pahang (2003), which carries the title Dato'. In 2003/04, she received a Monash University Distinguished Alumni Award and in 2009, she was named Woman Entrepreneur of the Year by Enterprise Asia.